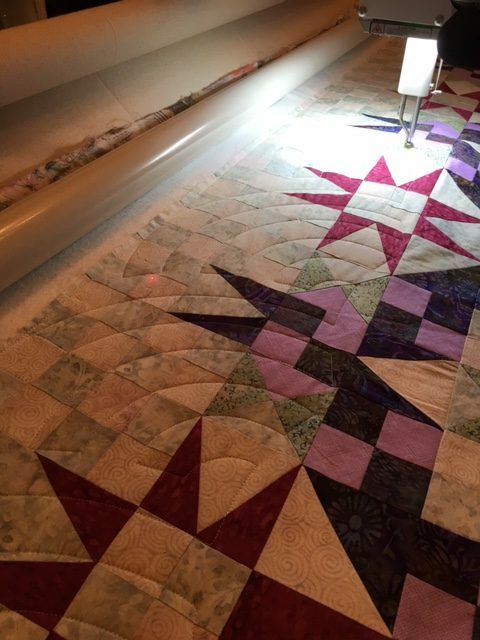 We proudly quilt on APQS Millennium with Quilt Path digitized edge to edge pantographs. Price: Basic price is $.025 per square inch for edge to edge simple pantographs. Additional charges may be applicable for denser pantographs that require more stitches/thread. Our current turnaround time is approx. three to four weeks. to book an appointment or contact us through the contact page. 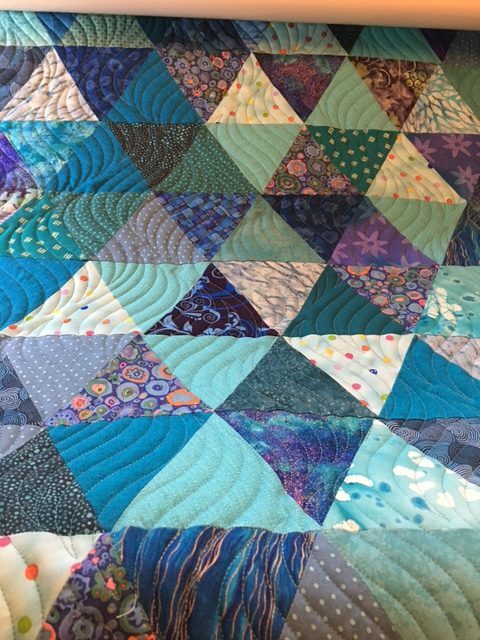 Please read the following before delivering your quilt to us. If the borders are longer than the top and applied without proper and accurate measuring, the top will not lay flat. 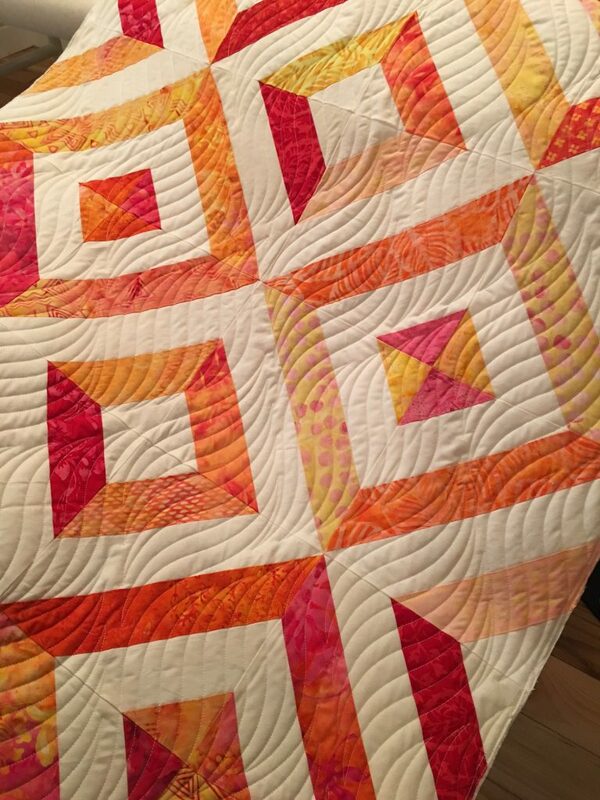 Pleats and puckers will develop during the machine quilting process. Measure your pieced top center (before the borders are added). Lay your top out on a flat surface and measure at least three different places across the width and length. If these measurements are not the same, take the average measurement and use this for cutting the borders. 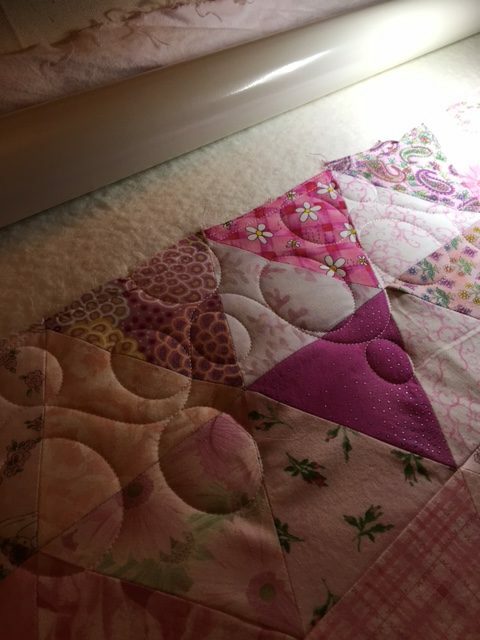 Apply each border to the quilt top evenly – divide the quilt top and border into quarters (or eighths) and ease or slightly stretch between marks, to make the border to fit. 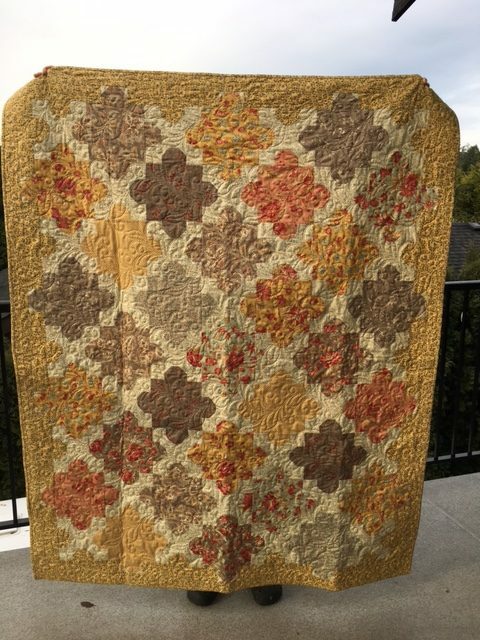 Fullness and or puckers within a border cannot be quilted out. I will try my best to work in some fullness, but I cannot guarantee that puckers and tucks will not be sewn in. 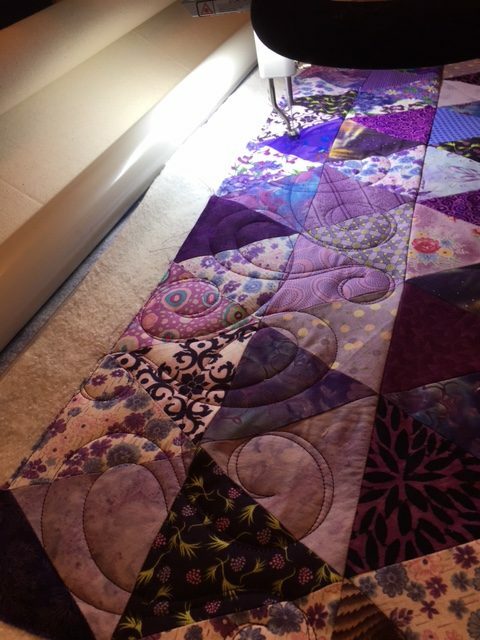 Just remember, the flatter your quilt top lays, the better your finished quilt will look.